Another leftover, this time from my more than a weekend adventure to LA in the beginning of November this year. I’ve been lucky enough to be able to extend my LA stay from a weekend to 5 nights over the past couple of years. That means that after shopping time with the girls and weekend wanderings with Ben, on Monday I’m back by myself to explore the city. 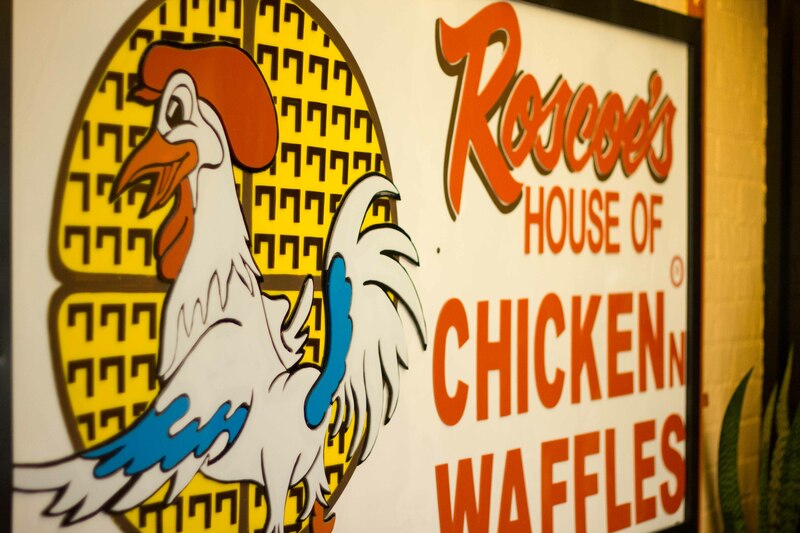 This year, after hearing so much about chicken and waffles from a friend of mine, I researched and found a place in LA that was famous for just that. But lounging around on a Monday morning by the pool, I wasn’t very motivated for the adventure, especially since googlemaps had me venturing way outside the “bubble” deep into central LA for them. But a gentle nudge from my friend E to tell me to “be adventurous” had me in a $20 cab ride to Roscoes. Getting out of the cab, I wasn’t sure if doing this adventure on my own was the smartest idea, the area seemed a bit rough and there were some very burly African-American guys selling “cell phones” out of the back of a van in the parking lot. But walking in to Roscoes, I knew that I was in for a treat. I felt like I had been transported way out of the LA I knew and into the world where I was a total foreigner. The restaurant was packed, and not only was I the only Asian person there, the one caucasian person immediately made eye-contact with me and gave me a nod which I took as a sign to tell me, “he had my back”, which made me giggle a bit. The smile never left, as my server Mama, (as all the other servers seemed to call her) took my order and kept referring to me as “Sugar-pie”. I ordered 1 waffle with a thigh + a wing on the side. The waffle tasted like Eggo, (although I love Eggo waffles). The chicken was very moist and tasty. 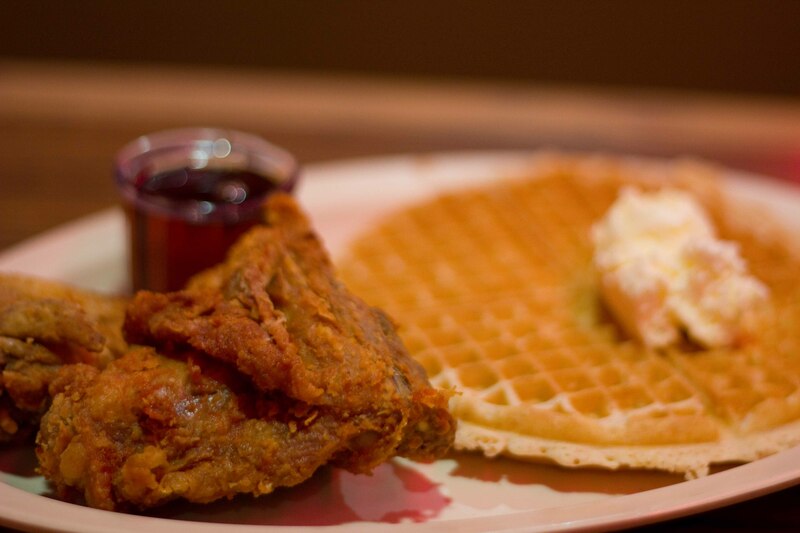 The combination of fried chicken skin with waffles and syrup is to die for. After I was done, they wouldn’t call me a cab, but I was able to find a number for one and waited outside for it. As I waited I watched as the “cell phone guys” were conducting their business. Maybe I’m naive, but it did seem like they were actually selling phones out of the back of their van. Was it worth it for just the chicken & waffles? Not sure, but it was a great adventure! Back in my bubble, I did some more window shopping and wandering. Still full from my morning adventures, I thought I’d treat myself to a sweet treat. 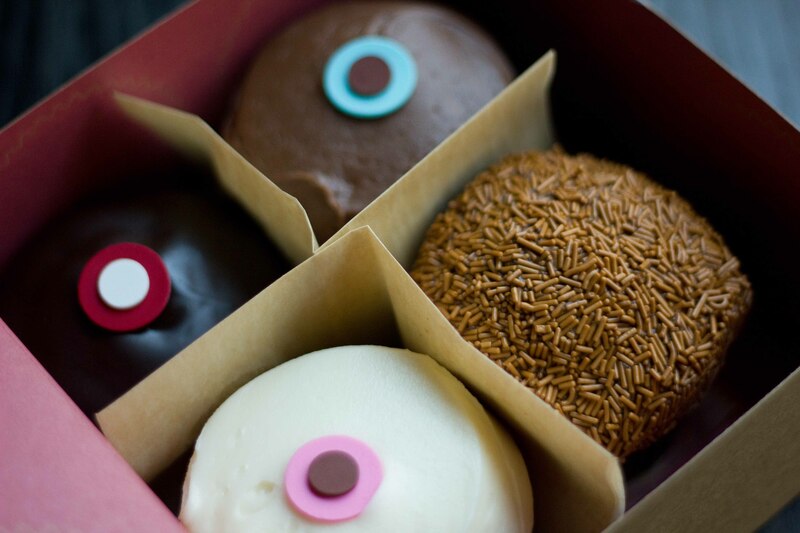 The very famous Sprinkles cupcakes has a line that snakes down the block on weekends, but you can usually walk right in on weekdays. 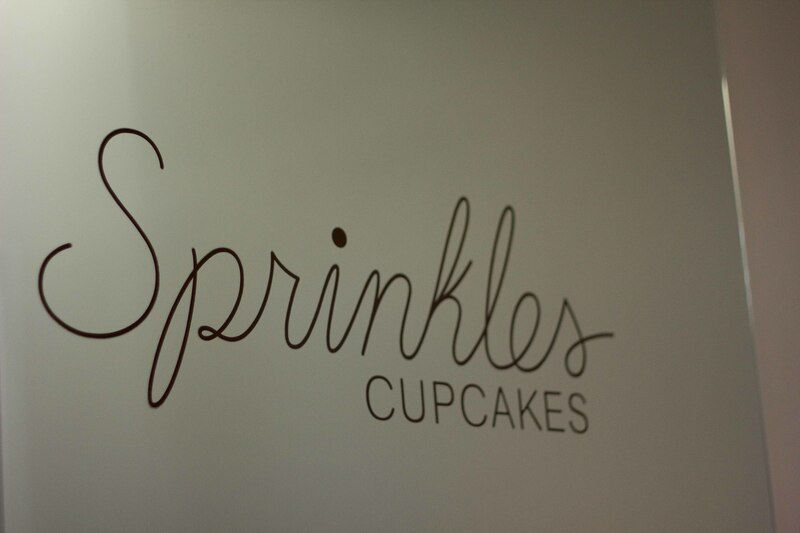 I get giddy just walking into Sprinkles, where you discover a different class of cupcakes. Cupcakes are my favourite sweet treat, and these are my favourite cupcakes. I couldn’t decide on just 1, so I bought 4. Chocolate marshmallow, peanut butter chocolate, mocha and black and white. Back to the hotel to rest and make myself pretty as I was going to a Hollywood party! 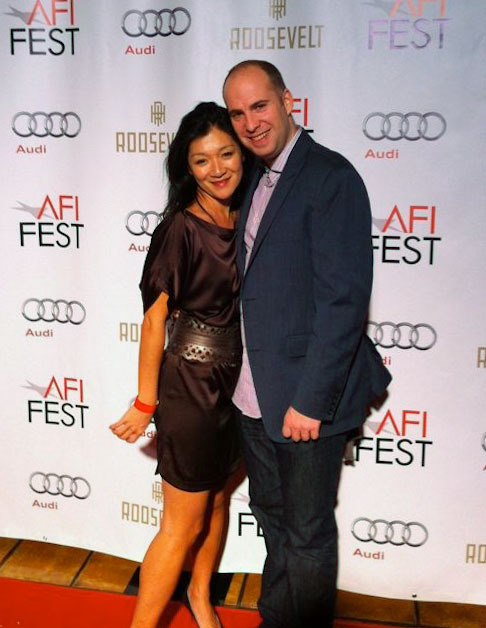 One of Ben’s movies was premiering that night and we were going to the Roosevelt Hotel to shmooze. Not anticipating any of this, I was lucky enough to have an appropriate outfit, but then we had to choose a dinner spot held up to our looks. 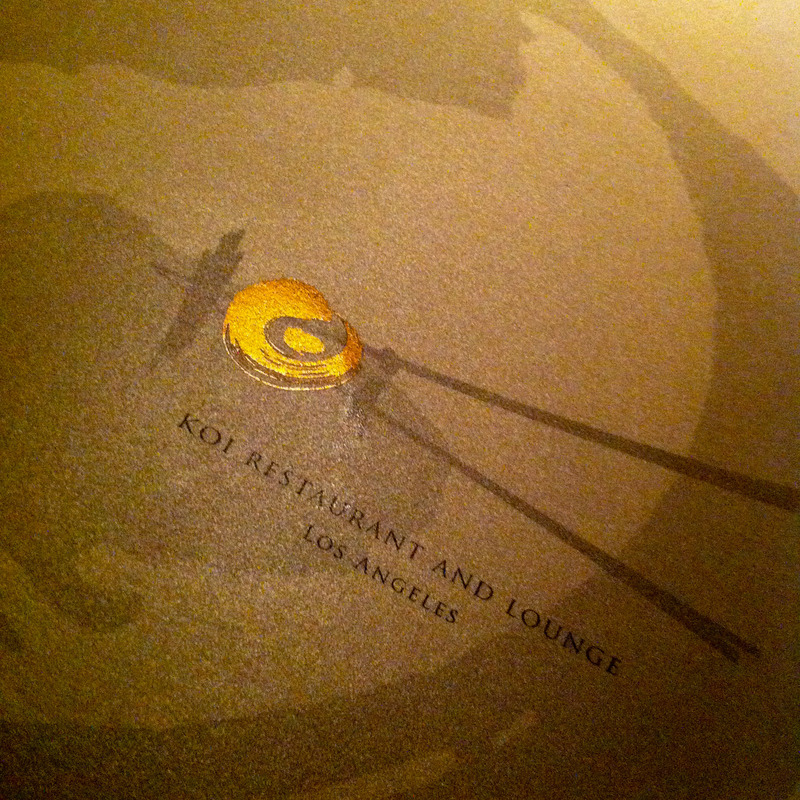 Koi is not the best Japanese food in LA, but it is one of the trendiest. 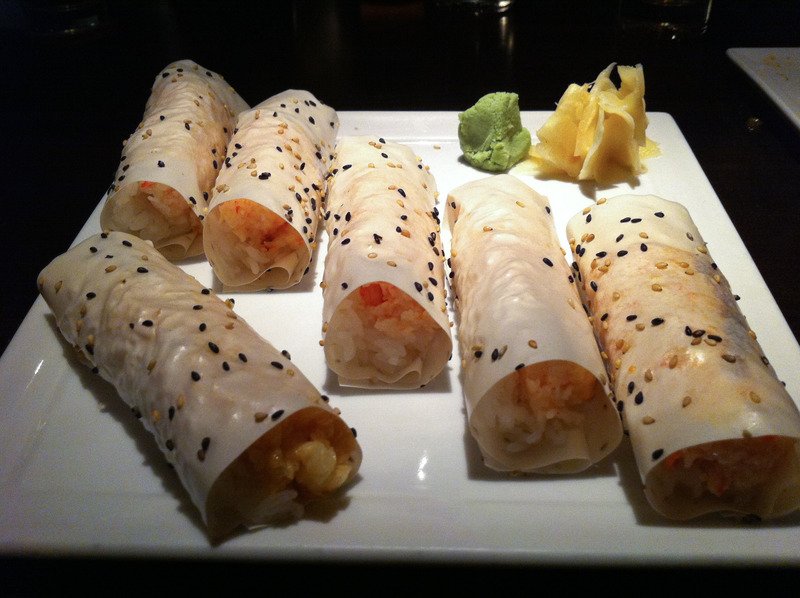 Of course we had to order the baked crab hand-roll. The crab was so soft and there wasn’t too much mayo, these were the best I’ve ever had. 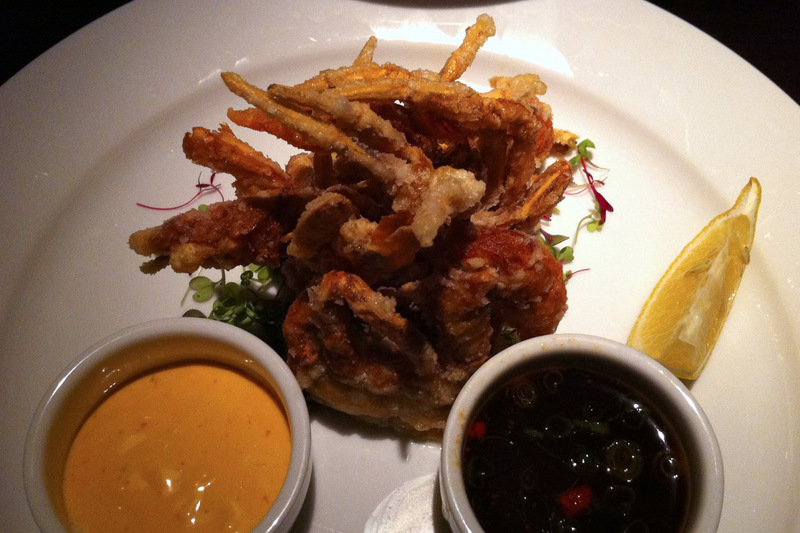 Softshell crab with spicy cream and ponzu sauce looked great, but the sauces lacked a bit of pizzaz. Unagi (eel) and avocado roll was could have used a little less sauce, but I liked that the rice:unagi ratio and the creaminess of the avocado. 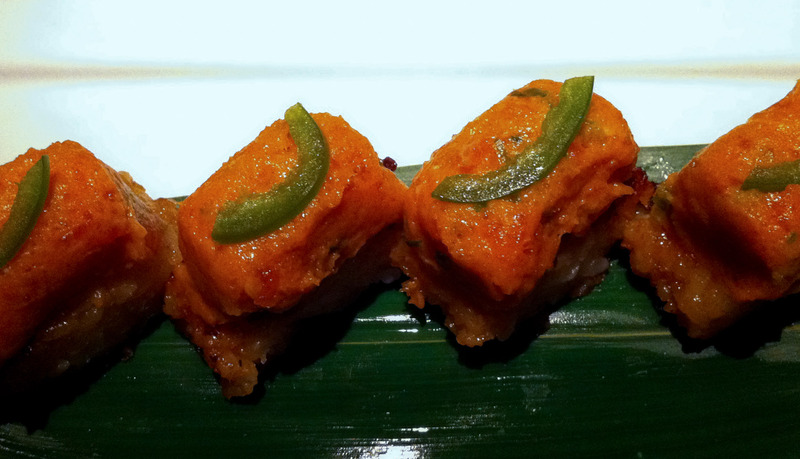 We ended with another LA specialty, crispy rice topped with spicy tuna. The rice was nice and crisp on the outside but still soft and warm on the inside. 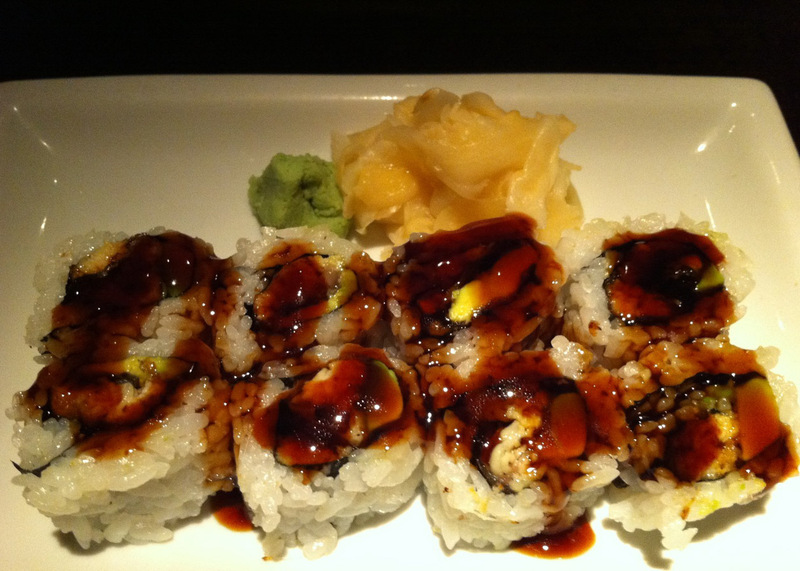 Again, much better than the Sushi Roku version, but not as good as the ones at Katsuya. That’s it from my LA adventure this year, can’t wait until the next one! First, i’m proud of you for tackling something outside of your bubble! And second, great picture of you and Ben. Ben looks glamorous solely because he is beside you. You, on the other hand, would look great on your own. Pass the message along!